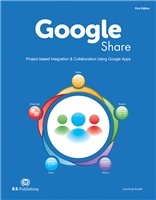 Google Share is an integrated Google Apps project-based textbook that features Google Drive’s sharing platform. In this textbook, students assume the role of a Google Apps Collaborator for Muzic Trendz, a consulting company for various record labels and performance artists in the music industry. As a Google Apps Collaborator, students complete a series of projects that are important to the success and growth of Muzic Trendz. Students often work in teams (of two) to complete projects efficiently and are relied upon to collaboratively produce professional-looking documents, spreadsheets, presentations, drawings, and forms. From business cards and sales forecast spreadsheets, to online applications and press releases, students will be fully engaged as they create professional business documents that the music industry would need. In Unit 1, you will use your knowledge of Docs, Sheets, Slides, Drawings, and Forms, as well as your critical thinking and decision-making skills to independently plan, create, revise, and produce various documents needed in the music industry. 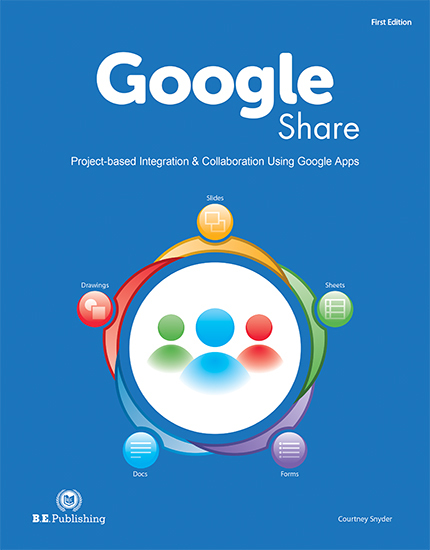 In Unit 2, you will use your editing and collaboration skills to partner with another Google Apps Collaborator to recall projects completed in Unit 1. Prior to beginning each project in this unit, you will meet with your assigned Google Apps Collaborator to review the project from Unit 1 and plan how you will complete the current project. Then, you will work in teams to edit, revise, and update the document. In Unit 3, you will use your communication and collaboration skills to complete projects with your assigned partner. Each project will start as a new project, so you will be required to meet, plan, and discuss the project prior to beginning. Using the Comment feature throughout each project will help you effectively and efficiently complete the project as a team. In Unit 4, you will progress past the common Google Apps in order to enhance your knowledge of other important applications. The apps featured in this unit are BeFunky Photo Editor, Google My Maps, Google Translate, and Google Hangouts. In Projects 4.1, 4.2, and 4.3 you will work independently, while Project 4.4 requires working with another Google Apps Collaborator. The Online Instructor and Student Resources for Google Share are required and include professionally designed logos and Project Answer Keys. Project Answer Keys demonstrate what student work should look like in order to simplify grading for instructors.